It’s been 8 years since my last trip to Toronto and when the opportunity presented itself to visit, I asked my wife to tag along with me. Coming from New York City, it’s a short 90-minute flight via Porter where you can walk to your hotel (which we did). 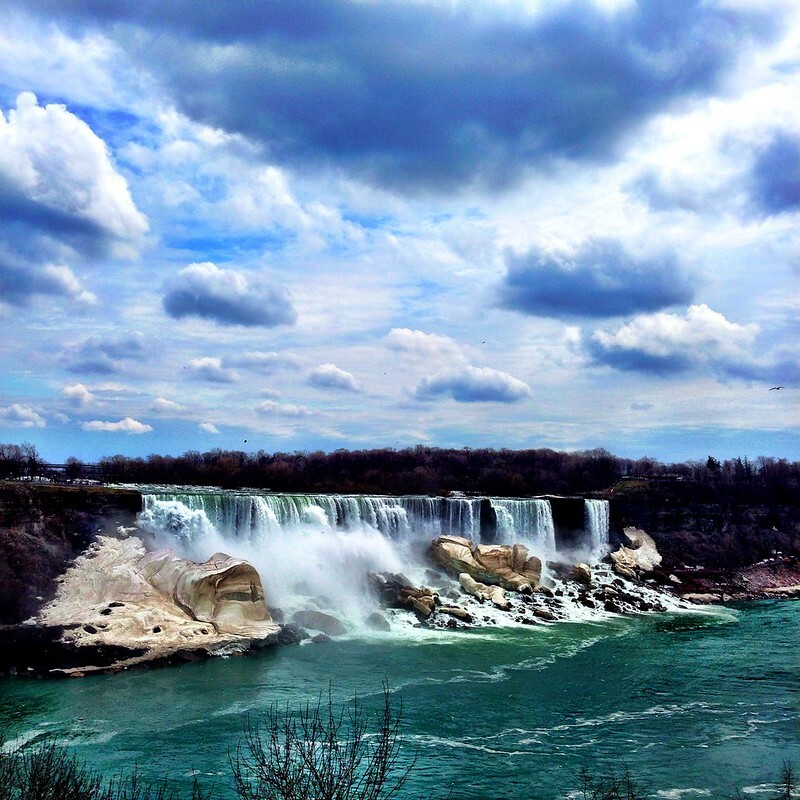 It was a short trip and we managed to do a lot of things including a token trip to Niagara. While we didn’t go there to eat, we still had a chance to try some Canadian food. I was having a conversation with a local on where to eat and they can’t help but snicker at the thought of “Canadian” food. “Oh, you mean Poutine? Peameal Bacon? Beaver tails?”. Yep. 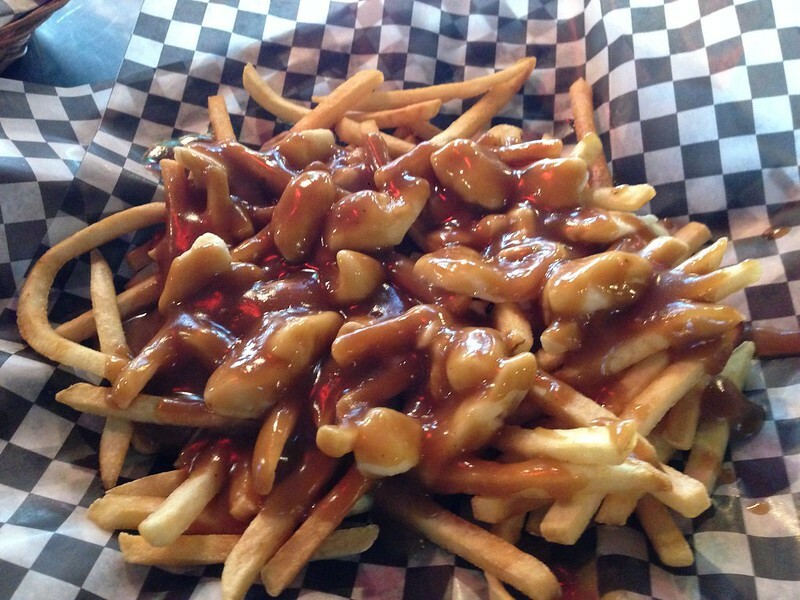 Poutine is Canada. No doubt. While it’s on its way to become hipster fare (it probably is), there’s something about french fries doused in gravy topped with some cheese curds. I first tried it in Montreal then on my last trip, we had it every day. Just because. Then there’s Banh Mi Boys with their Kimchi poutine, where you get fries mixed with Kimchi and some pulled pork. 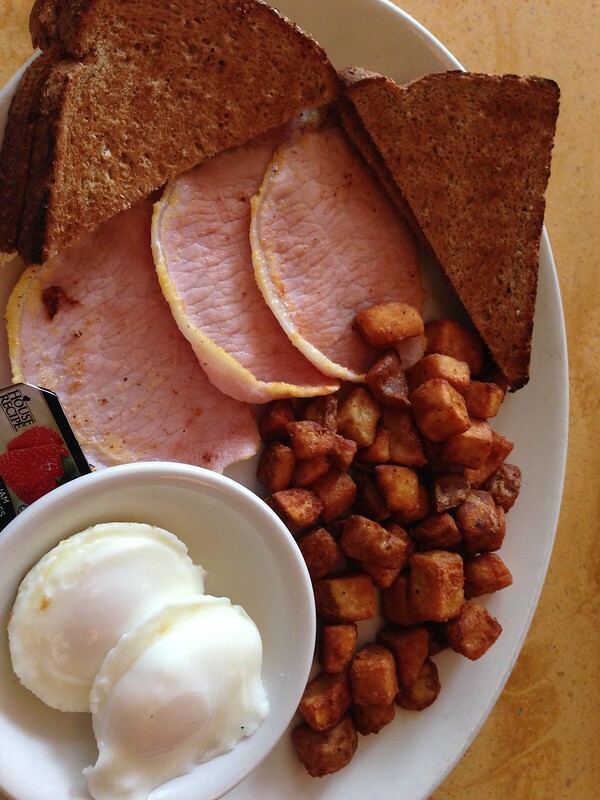 Peameal Bacon, also known as Canadian Bacon is a briny, hammy piece of processed meat enjoyed over breakfast. It’s served on a bun, although I’ve had it with poached eggs. How does it taste? It’s ham pickled in brine, with a little bit of fat covered in cornmeal. Instead of using pork belly, you get a leaner meat with pork loin. I haven’t had a chance to try it with maple syrup but it goes pretty well with Ketchup. If you’re dying to try it in the US, you can order it online. This might be blasphemous but you can more or less replicate the peameal experience (with 65% accuracy) by brining lean cut pork chops and uhm, using shake and bake. Then there’s Hakka Cuisine. Like Chinese American takeout restaurants in New York, Hakka provides you with a full menu of Chinese food with Indian influences. Associated with nomadic Chinese, this particular kind of “Chinese Calcutta” cuisine might be a true Toronto specialty. I had Chicken Pakora, spicy deep fried chicken with hints of cumin, turmeric and chili powder. The food is hot and has pretty amazing flavor profiles. Towards the end of our trip, we made a last minute grocery run just to try other “native” delicacies. After visiting 4 groceries downtown, we got two tubs of Maclaren’s Imperial Sharp Cheddar Cheese. Manufactured by Kraft, this has a cult following in the Philippines, pairing the crumbly, tart cheese with pan de sal. It has a pretty distinct taste and goes well with any kind of bread – even bagels. We’re just puzzled on why it’s so hard to find, are people hoarding this? Then there’s OMG’s, clusters of dark chocolate, almonds and toffee that we discovered through Bio’s “Food Factory”show (also Canadian). The segment we saw on TV featured migrant Filipiinos working in the factory, sharing their favorite flavors with a demo of their special OMG’s dance. Made by the hardworking hands of our people, we grabbed a couple of bags as well. 3 months after our trip, we’re down to our last bag. Due to unexplained reasons, you can’t find any Jalapeno Cheddar Cheetos in New York City. Guess what? They have in Toronto. We got 3 bags and couldn’t be any happier.